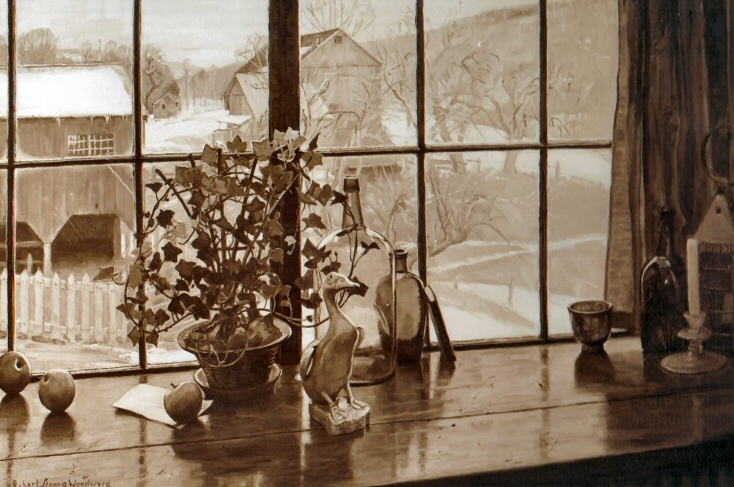 RSW- Artwork page, "March Light"
Received the 3rd place award in "the popular choice of paintings," at the S.V.A. 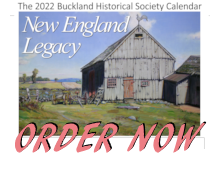 Twentieth Anniversary exhibit. 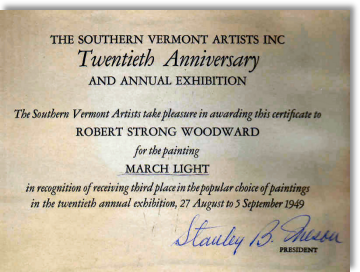 Above: Woodward received the award of third most popular painting at the Twentieth Annual Exhibition of the Southern Vermont Artist Association Exhibition(1949). 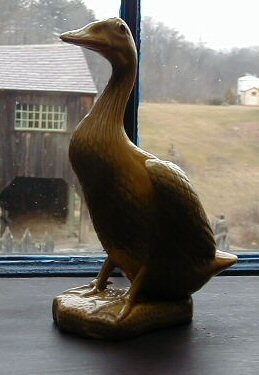 To the left: The yellow duck still remains in the artist's studio, along with many of the other colored bottles and various knick-knacks.